It was about time I post about waffles because honestly. My quest for the perfect waffle recipe is never ending. I knew that the waffles I had around here weren’t the « right » waffles you know ? You know that feeling you get when you taste something and it’s not how it’s supposed to taste even though you never had it before, I’ve always had it with waffles and donuts. Of course when I found them at every street corner in Belgium, I knew then what happiness truly meant. But weirdly enough, the best waffle I ever had was in Amsterdam, I wasn’t even high to make such a statement, so you know it gotta be true. 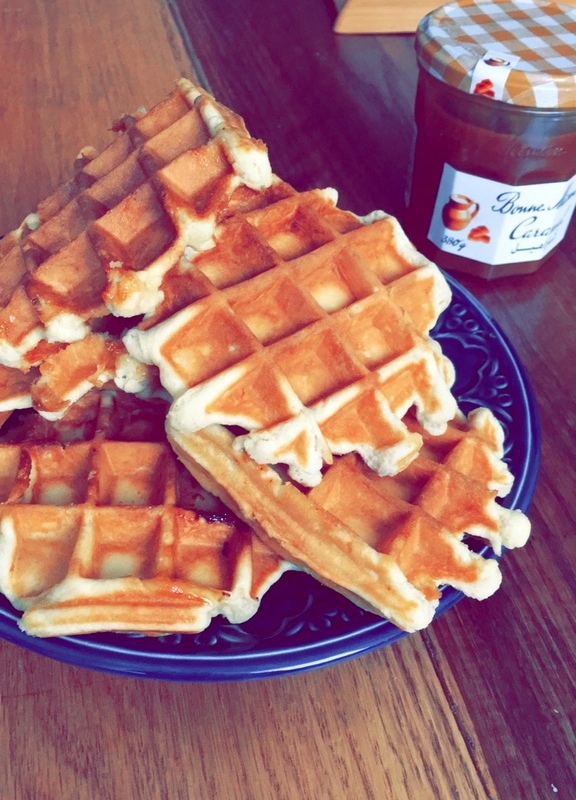 So yeah quest and all, I tried multiple recipes, and up to date, this one is the closest I got to the nice, warm, fluffy liège waffle. Put your baking powder into your milk and let it rise a little. Mix the flour, milk/baking powder combo, egg, vanilla sugar, salt and egg altogether for 3 to 5 minutes. Add your butter gradually and whisk it slowly until there’s no lump in your dough. Cover your dough and let it rest for 30 minutes. That’s honestly the worst part for me because when I bake something I don’t wanna wait no 30 minutes. I want it done, baked, and eaten in 30 minutes ! When your dough has risen add your pearl sugar (or crushed sugar cubes) and incorporate it carefully with a wooden spoon. Make little round shapes (not too big) and put one in each part of your waffle maker. 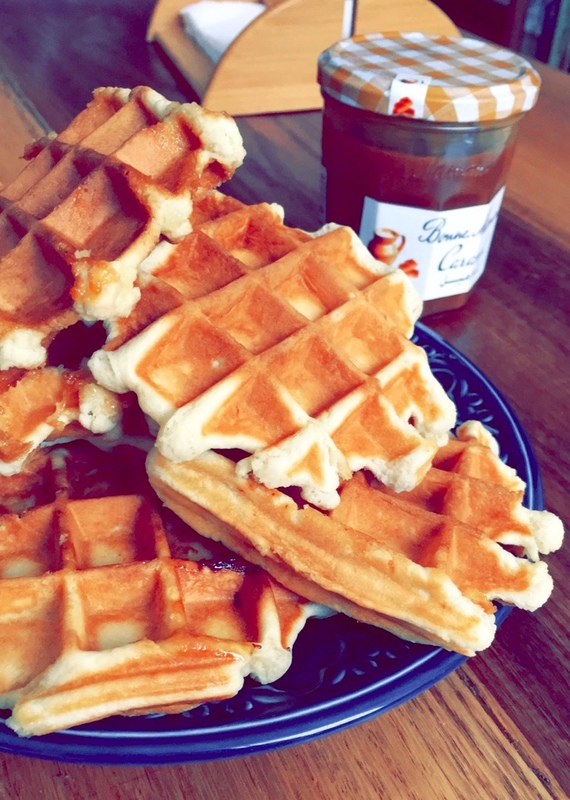 This a liege waffle we’re making, so it’s a dough we’re working with as opposed to the Bruxelles waffle rather runny batter you’ll pour directly on your waffle maker. Let it cook for about 3-4 minutes depending on your machine; you can open it to check how brown you want your waffles to get. And ta-daa ! You’re done, good job.